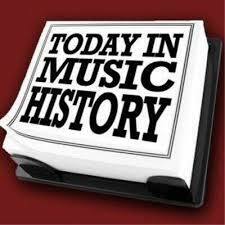 As we journey together through another beautiful day, we take a look at what happened on this day in Music History. On this day in 1973, Charlie Rich was at No.1 on the US singles chart with the country & western ballad ‘The Most Beautiful Girl’. It was the singers only No.1 single, was also a No.2 hit in the UK. 1984, Do They Know Its Christmas by Band Aid entered the UK chart at No.1. And it stayed at the top for five weeks. It became the biggest selling UK single of all time with sales over 3 and a half million. Band Aid was masterminded by former Boomtown Rats singer Bob Geldof. He had been moved by a TV news story of famine in Ethiopia. Geldof had the idea of raising funds with a one-off charity single featuring the cream of the current pop world. Duran Duran, Spandau Ballet, Paul Young, Culture Club, George Michael, Sting, Bono, Phil Collins, Paul Weller, Francis Rossi and Rick Parfitt of Status Quo and Bananarama all appeared on the recording. And in 2014, Taylor Swift was at No.1 on the US album chart with her fifth studio album 1989. The album eventually became the best-selling album of 2014 in the US market and had sold over 5.7 million copies by the end of 2015, while selling 9.5 million worldwide. Seven singles have been released from the set.